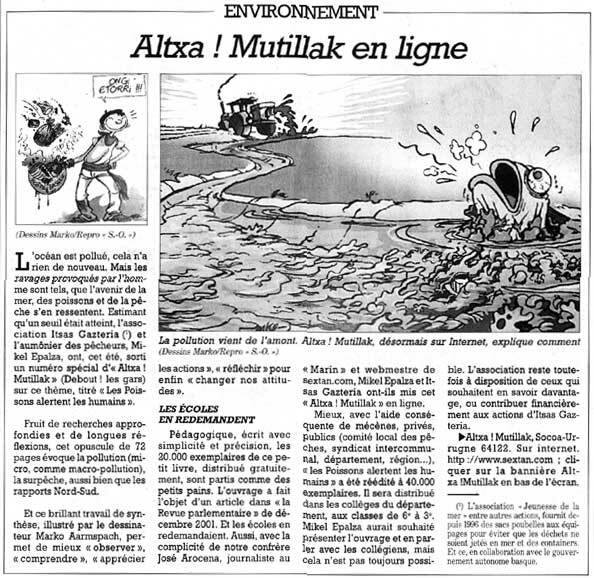 Illustrations for an Altxa Mutillak (“get up, guys”) brochure explaining the pollution problems in Basque Country. By Marko. In French. Scan of an article (83K) published in Sud Ouest French newspaper. Humoristic illustrations by Marko and MP3 remix by Allan, inspired by Jean-Michel Jarre. You are currently browsing the Kebalog archives for April, 2002.